The recent standoff between rancher Cliven Bundy and the federal government continues to reverberate in Washington, D.C.
Rep. Steven Horsford, D-Nev., says his constituents are being subjected to a militia-like presence at the hands of Bundy's supporters. In an email to Clark County Sheriff Doug Gillespie, Horsford said his constituents told him that Bundy's armed supporters have set up checkpoints where they force residents to prove they live in an area before allowing them to proceed. They are a "persistent presence" along federal highways, state, and county roads, making people feel unsafe, Horsford wrote, according to CBS affiliate KLAS-TV in Las Vegas. In Washington, D.C., Capitol Police are investigating threatening statements made against Majority Leader Harry Reid, D-Nev., who called Bundy and his supporters "domestic terrorists" for using handguns and rifles to prevent a Bureau of Land Management (BLS) round up of Bundy's cattle. 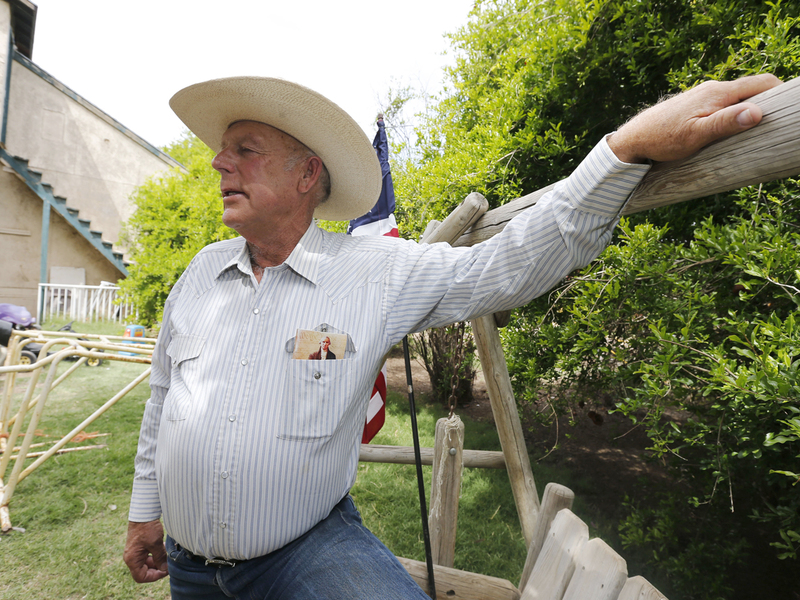 Bundy owes more than $1 million to the federal government in grazing fees he has failed to pay since the 1990s. Although Reid declined to comment on the content of the threats when asked about them Tuesday, he told reporters, "Each day that goes by, it's hard for me to comprehend how ugly, vile, vulgar, and threatening people are sending letters to my home, and making other threats. So I don't know who is mad at me. But it's a long list, I guess." Police and a spokesman for Reid declined to give further comment on the threats. But the animosity between the two men runs deep: Reid also called Bundy a "hateful racist" after he pondered aloud whether black Americans might have been better off picking cotton as salves. "We are seeing unprecedented overreaching action by the federal government," Abbott, a Republican who's running for governor this year, said on The Glenn Beck Program Monday. "Now we see, through the Bureau of Land Management, a hijacking of private property rights across the entire United States of America." He said that the bureau "picked on the wrong state when they came to the state of Texas to try to take our property because we are not going to take this. We are going to fight back and we are going to fight for our land."